American metal giants Iron Maiden, with 14 sold-out shows in Canada and the US followed by a colossal 58 concerts in 34 countries worldwide, are coming back for a 2017 revival! 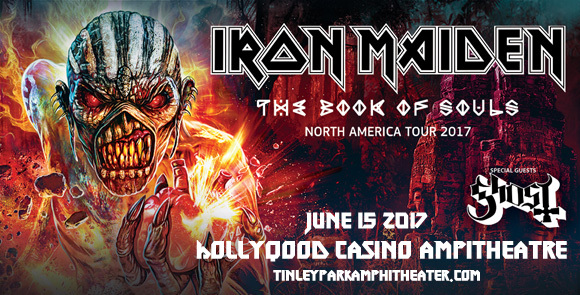 On Thursday June 15th, with support from Ghost and accompanied as always by mascot Eddie, Iron Maiden will rock the Hollywood Casino Ampitheatre – DON'T MISS IT! !